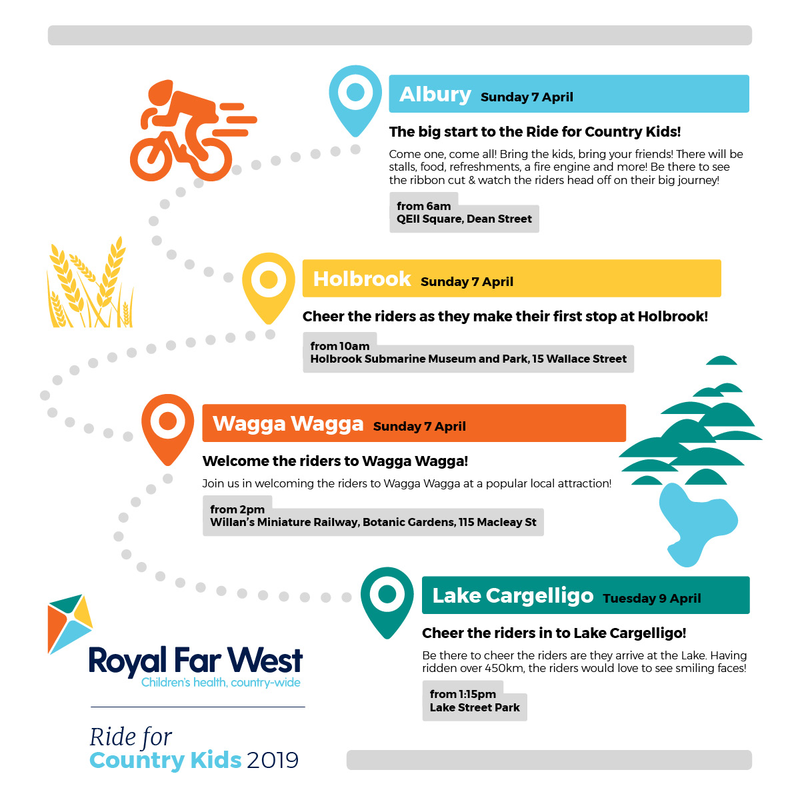 The Royal Far West Ride for Country Kids is coming to a town near you! Each year we take over 60 bike riders on a ride through rural and remote towns to raise awareness and funds to help country kids and families access the developmental care they need. This year we will be stopping at the towns mentioned below and would love to invite you and the local community to come down and say hi!